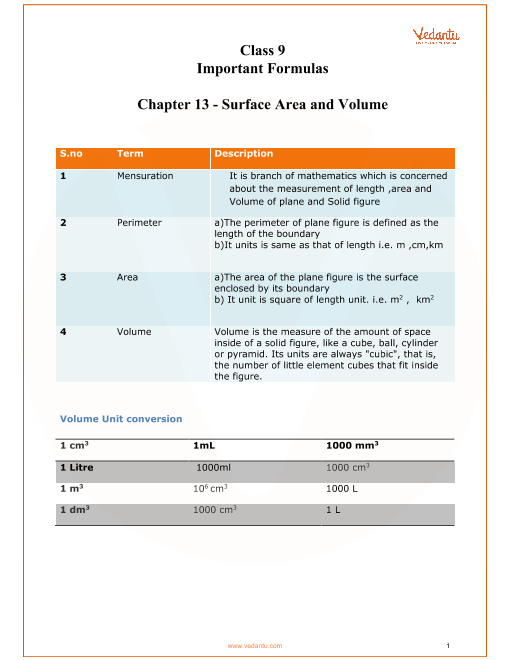 Free PDF download of Chapter 13 - Surface Areas and Volumes Formula for Class 9 Maths. To Register Online Maths Tuitions on Vedantu.com to clear your doubts from our expert teachers and solve the problems easily to score more marks in your CBSE Class 9 Maths Exam. You can also Download NCERT Maths Class 9 to help you to revise complete Syllabus and score more marks in your examinations.